Do you need permission to give up or let go? As I’ve begun another round of working with clients in my Stellar Self-Care Coaching Program, I am so inspired. These are intelligent, complex, high-achieving women — every single one. They inspire me because I struggle with that, too. And something I’ve noticed over the years is that, woven into the fabric of our Western culture, are particular ways of “supporting” each other that are just really not deeply helpful for perfectionists. The irony here is that, to people who are not yet aware of the toll their perfectionism is taking on them, everything I’ve written in this post will sound like blasphemy. That’s because perfectionism is a belief system, and there are big payoffs, culturally, to having this belief system. It plays right into the idea that we don’t have limits if we just try hard enough. Empowering? It depends on the lens through which you view “having it all” and “never giving up.” I know that when I try to “have it all”, my life feels so overstuffed I can barely breathe. And I’ve found that everything I work toward in my life involves many moments where I “give up”. I give up what I think it has to look like. I give up my tight grip on it. I give up an old version of me so a more authentic version can show up. I give up because I just don’t want “it” anymore, not the way I did (because I’m not who I was when I set out on the journey). If you have a tendency toward perfectionism, and you notice you have trouble giving up or letting go, start small. Where can you push a little less than you usually do? Where can you pause and reflect before responding or reacting? What activity can be crossed off the list — if only for today? Where would a well-placed “no” usher more peace into your day? Don’t overwhelm yourself by thinking you need to “do this letting go thing right”! (Perfectionism can be oh so sneaky!) You don’t need to let go of anything big right now. Practice with the little stuff. And see how it goes. Build those “letting go” muscles. Chances are, your “tenacity muscles” are already overworked. I know the message to “practice giving up” may seem incongruent with the huge changes that are crying out to be made in our world at this moment. But as I’ve written here before, we cannot truly separate self-care from other-care. The more I am able to fill my own cup, the more that cup overflows to others. It cannot be otherwise. When I try to “do it all” and insist on “never giving up” on anything, I’m spread so thin I am flat-out ineffective when it comes to the places where the world truly needs me. If you struggle with perfectionism and people-pleasing, where do you need permission? Where might you practice letting go, or even giving up? 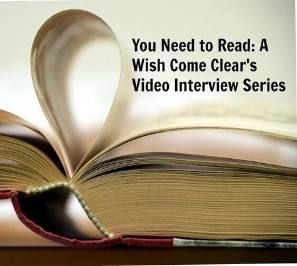 Speaking of perfectionism and self-care, I hope you’ll check out You Need to Read: A Wish Come Clear’s Video Interview Series. Caroline McGraw and her interviewees (including me!) delve deeply into these topics in her terrific series. My favorite morning ritual is to go for a walk and get coffee and then walk home. There is something about starting my day this way that just helps. Since I work from home, my “walk for coffee” is a transitional element — it smooths that space between waking and working. But: the coffee at the places within walking distance just doesn’t really do it for me. Oh, there are many. Major chains, smaller independent places. But something is lacking in the taste of the coffee. It’s either too strong or too weak or it’s not quite the right flavor. Blah! A few months ago I became obsessed with finding coffee that I could love. I was tired of paying for coffee I wasn’t thrilled with. I convinced myself that if I had better-tasting coffee to start my day, the day would go better. Like, way better. So I decided to try just making my coffee at home. I did lengthy searches, read copious reviews, and found some fancy new flavors. And I was able to create the coffee I wanted, for the most part. And I felt satisfied. Sort of. But: the walk. It was missing! And my morning walk is huge for me. It jump-starts my day. It connects me with the creative impulse, with birds, with squirrels and trees. It gets my body moving. So: I decided I’d make my coffee at home, and then take it with me on my walk. But: this didn’t work either. Because: I like going into a coffee place and having that simple interaction with people. There is something about going into a place, talking to people a bit — just a bit, not too much — holding the door, that simple exchange — staring at the bulletin boards, smelling the coffee smells — I like all that. It connects me with the world. I need it. So, I sat with this coffee conundrum, marveling that this seemingly small thing — really good coffee — had started to take up so very much space in my daily life. And, eventually, I realized this: the perfect coffee just didn’t really matter that much. Yes, it would be nice to have the coffee of my dreams on a daily basis, but it was the entirety of the experience I truly needed — walk/coffee/nature/people — and not really the coffee itself. Coffee was only one piece of a bigger thing — my foundational morning ritual. I also realized something else: In preoccupying myself with my search for the perfect coffee, I was less available — even if only slightly — to the parts of my life that are more important to me. To the parts of my life where, perhaps, I need to take more risks and dial up my commitment. Or simply experience more presence, more of the “enough” of the here and now. And so, I decided to let it go. And you know what? Since I let it go, I am totally fine with my coffee, wherever I get it. Sure, I will probably stumble on amazing coffee somewhere I don’t usually go, that is not near where I live (like the coffee they served at the Indian restaurant that went out of business! ), and I will wish I could replicate that taste somehow. But while fulfilling my desire for the perfect coffee would be nice, it’s not essential. When it comes down to it, I’m okay with coffee that is good enough. The coffee example is a simple one, but I see a version of this a lot with my clients, who sometimes feel like they need to hit upon the perfect product, or class, or book, or coach (or, in some cases, life path!) in order to feel like they’re really on their way. Pouring energy into these non-essential areas may seem like a small thing, but it’s actually a huge drain on our creative energy to search for perfect when we already have enough. And even when we are dealing with an area that is truly essential, like a central relationship or the pursuit of our soul’s work, the “search for perfect” can serve as an exquisite distraction from what is already available to us. Do you see areas like this in your life, where you’re looking for perfect when “good enough” would suffice? I’d love to hear how you experience this. Need some support in making your creative work a priority in your life? I’d love to help. Click here to see if we might be a good fit. Sometimes we can find ourselves in a cycle that looks like this: We’re pushing and pushing to get something done, but it’s not working, no matter how hard we push. Our minds start looking for what’s wrong and find that it’s all wrong. (If we look hard enough for something, we will definitely find it.) The project is wrong, the way we’re going about it is wrong, we are wrong. Our lives are wrong. Wrong! Where did it all go wrong? We get discouraged with how wrong it all seems, and we think, “Well, maybe it’s my attitude. I just need to try harder.” So we push ourselves, and the whole cycle continues. Western culture is in many ways a “push” culture, which values moving forward at all costs. One thing that can result from too much pushing is a feeling of stuckness. Ideally — when I’m really “on track” — I’ve noticed that I feel pulled toward what I want, not like I am pushing myself toward it. This is not to undervalue “push” energy, as it’s certainly necessary sometimes (it’s just not a great way to live all the time). A lot of what’s going on with pushing ourselves is that we’re pushing so hard we’re losing sight of why we’re doing something in the first place. And that’s why — in addition to pulling back and gaining a broader perspective, which I wrote about in my last post — an important element to moving out of a feeling of stuckness can be shifting focus. Or, to put it another way, distracting yourself. Yes — that means stepping away from what you’re trying (unsuccessfully) to do, and doing something else. Anything else. Resist the urge — for the moment — to try to “figure out” why things aren’t working, and just do something else. This can work on the smaller scale or the larger scale. On the small scale, it might look like calling it quits for the day with that chapter you’re wrestling with and attending to the email you’re feeling called to write to a friend. On the large scale, it might look like putting the major project that’s feeling incredibly draining on hold for a month and immersing yourself in a “fun” project. This happened for me years ago during grad school when I felt a lot of heaviness around my thesis material. At the end of a summer, when I had a brief break from course work, I found myself super-inspired by these little cat paintings I saw artists doing on a certain auction site at the time. And it occurred to me that — for fun — I could try to do a little cat painting of my own. I did one late on a Friday night, painting into the wee hours, and it was so much fun I did another one, then listed them both on the site for very low prices. Just for the hell of it. Yep, my little painting I’d done “just for fun” had a bid on it. Someone wanted to pay actual money for my little experiment. This was the beginning of a period of a year or so where I made lots of little cat paintings and sold them. One ended up in a coffeehouse in Seattle. One ended up in the home of an octogenarian with six cats who lived in England. It was so much fun selling my little paintings and learning about my customers. And what I discovered during this time was that part of the reason I’d gotten so stalled on my thesis material was that I’d lost touch with what had mattered to me about writing in the first place: it felt fun! I liked it! I’d gotten locked into “serious grad student” mode and felt like my writing had to be big and important. I still struggled with those feelings (and sometimes do now), but doing my little paintings reminded me that there was much joy to be had from the small, the simple, the cute and the fun. Anne Lamott tells a story in her book Traveling Mercies about her car breaking down when she and her son were on the way to visit a dying friend. When all was said and done, it turned out she wasn’t able to visit her friend until a few days later than she’d planned. Sometimes we need to distract ourselves so that we can get out of our own way. I think this is what happened for me when I was drawn to making small, simple paintings of cats. I needed to get out of my own way. Challenge the culture. Allow your life to be a grand experiment that always leads you back to your core. Need some support on your grand adventure? Through Feb. 29, my one-on-one coaching sessions and packages are at special prices, in honor of The Year of the Monkey. (Monkeys are a spirit animal for me — they are the guardians of fun and play, which my serious, driven side badly needs to stay connected with.) Find out more here. I love how this clock looks like it has cat ears. Here at the beginning of a new year, a curious phenomenon has arisen in the work I’ve been doing with my coaching clients. It comes down to this: what we believe about how long something will take is directly related to whether or not we actually do it. Have you done this? I know I have. When we’re dreading something, our minds will go to all sorts of lengths to help us cope. This is in some ways helpful and productive — I know there are experiences I would probably have never exposed myself to if I’d known in advance how hard and stressful they were going to be. But my mind convinced me that “it wouldn’t be that scary.” In some cases, it was far scarier than I’d imagined, but in the end I was thrilled that I had the experience (so, thank you, dear mind!). More commonly, though, our minds can protect us into not doing something at all (that we either want or need to do) with these types of distortions. 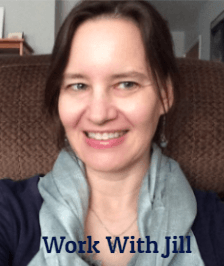 When we dug into why, it turned out that she’d been thinking the homework “would only take thirty minutes or so” and she could knock it out the night before our session. When we looked honestly at the homework, though, it was clear that she would need a minimum of three hours to do it. So why had she decided it would only take about half an hour? Because she had a lot of resistance built up around doing it, and the only way she could bear to face it was to think that it would be over in a very short amount of time. In this case, that meant she put it off until it simply didn’t get done. And I have a lot of compassion here, because I have SO done this. Here’s another example, from a different client. She’d told a close friend she would run an errand for her, but hadn’t done it. For a month she’d been waking up thinking “I really need to do that today. I should do it.” Then she wouldn’t do it and the next day the whole cycle would repeat. When we took a look at why she wasn’t doing the errand, another sort of time distortion revealed itself. She was certain the task was going to take hours and that it could become very complicated, and that she might have to get help to complete it that she wasn’t sure she could get. I told my client that, while I could be wrong, to me it sounded like the task shouldn’t take more than about an hour to complete (and this included driving time). We looked at what would be the worst that could happen if, in fact, it did take her as long as she feared. “It would be really stressful and annoying,” she laughed. But she agreed to go ahead and do it the next day. I told her to email me as soon as it was done and tell me how it had gone (this kind of check-in with someone who cares about you can be SO supportive!). She emailed me way sooner than I’d expected to hear from her. Why? Because the task, including driving time, had taken her exactly 18 minutes — no complications, no extra help needed. Just straightforward driving to an office to pick up a folder and dropping it off at her friend’s house. I won’t know how long it will truly take until I start doing it. If it’s going to take a long time, I’d rather get started sooner than later. I want to feel as calm and grounded as possible around this action. What will help me feel that way? All of these sentences give me a reality check. And for those of us with, shall we say, vibrant imaginations, reality checks can be a valuable part of our artist’s toolbox (as much as we might cringe at the idea of “mundane reality”!). As long as the reality check is supporting our bigger vision, it’s all to the good. What do you notice about how distortions of time play into your fears around getting things done? I’d love to hear from you. And: Need some help moving your creative work forward in the new year? For a limited time, I’m offering three-packs of 30-minute coaching sessions. You can find out more, here. Somewhere on the continuum between torturous procrastination and frenetic “just so I feel like I’m doing something” action is a place of pausing. Of breathing. Of looking around, looking within, and inquiring: what do I really want here? What is it I truly need? Or perhaps this place, which I call conscious pausing, is not on that continuum at all. Maybe it is actually off that continuum — the silent, sometimes-sacred space you step off the path to claim, like the big rock next to the river that runs along the highway. I mention this place of conscious pausing because it took me four days to recognize that I was forgetting it was available to me. I returned from visiting my family for Christmas a week ago, and allowed myself a couple of days to recharge (which a younger me would have felt like a slacker for allowing myself, so, yay! Progress!). But after those two days, I began to ping-pong between a feeling of severe procrastination (I should be doing something, but what? how?) and impulsive activity that felt pointless and disconnected. But the key, my friends, as always, is in noticing — a seemingly benign word with a ton of power. Because once I noticed my swing from one end of that aforementioned spectrum to the other and back, I was able to consider the possibility that I had another choice. That, instead of beating myself up for procrastinating or jumping into frenetic doing, I could take that conscious pause and reconnect with what I truly wanted and needed. Here are some questions I find helpful when I realize it’s time for a conscious pause. What thoughts am I having about the immediate future? If I absolutely can’t make the deadline, I can find a work-around. I’ll see it better when I’m in a place of peace. It really helped that my cat climbed into my lap while I was checking in with myself. Is there anything more grounding than a warm feline? By the way, you don’t have to answer all of these questions (you don’t HAVE to do anything!). You can start with the first one, and move on as it feels right. You may find relief after the first two. Or, you can nix the questions altogether and simply focus on your breath and the fact that you are, indeed, choosing to consciously pause and stop the madness! What I love about going through these questions, though, is the clarity I come out with on the other side. Every time I see my behavior, my thinking, my feelings, with more clarity, it’s that much easier to navigate the stress when it arises the next time around. Here’s to conscious pausing and a juicily creative 2016! How might you integrate the power of the conscious pause into your intentions and goals for the new year?